Aldon Morris, Leon Forrest Professor of Sociology and African American Studies at Northwestern University and author of acclaimed book, The Scholar Denied: W.E.B. Du Bois and the Birth of Modern Sociology,visited the Department of Sociology on October 14-15. Morris delivered a lecture entitled “W.E.B. Du Bois at the Center: From Science, Civil Rights Movement, to Black Lives Matter” and met with faculty and graduate students. He also led Dale Dannefer’s theory class, since his book was assigned course reading. 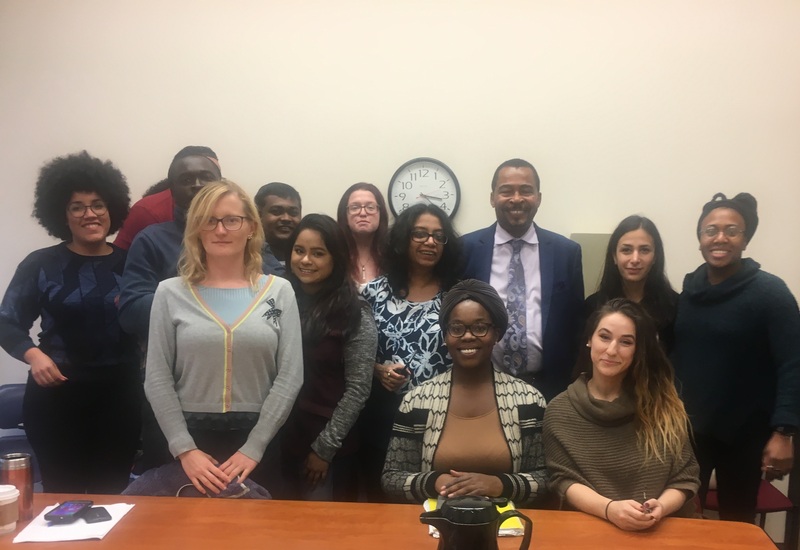 Professor Morris’s visit was co-sponsored by CWRU’s Office of Diversity and Inclusion, the Social Justice Institute, and the Department of History.